Beginning of July I hosted Deviation Acoustic’s first student concert at the Glenelg Community Centre. It was a wonderful evening with beautiful music. We had over 30 people in the audience, family and friends of the 8 students that decided to perform. For many students it was the first time singing in front of an audience or singing with a microphone which was very exciting. The concert was designed as a safe place to gain confidence in performing but also to show family and friends what they have been working on in their lessons. All students had chosen which song to perform by themselves and songs ranged from Artists like Ed Sheeran and Adele to Crowded House and Michael Kiwanuka. The variety of styles and songs chosen was superb. Every student did an amazing job yesterday at performing and I would like to thank them all for their fantastic performances. As a teacher, it is wonderful to see how much each of them has learned and how far they have come. It takes a lot of courage to come up on stage and perform a song and I am so proud of each of my student for taking this step! I couldn’t be happier and cannot wait for the next concert! 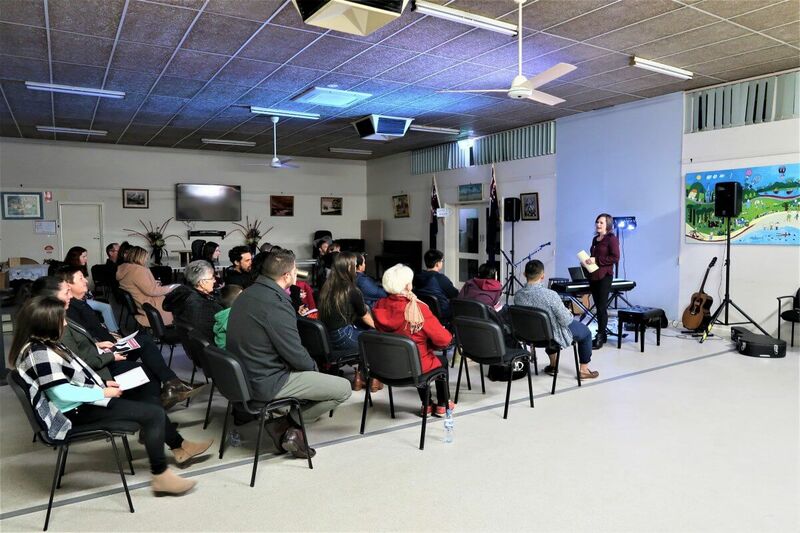 This entry was posted in Singing and tagged learntosing, performancecoaching, singinglessons, singinglessonsadelaide, singwithamic, studentconcert, vocalcoachadeadelaide.